Okra is a flowering plant that is part of the mallow family that is grown for its edible green or red seed pods. It is cultivated in warm temperate, tropical, sub-tropical climates around the world. Origin of okra is widely disputed, but most narrow down its starting point to Eastern Africa, then to India, Southeast Asia. From Africa it was brought to the Americas. It is one of the most drought and heat tolerant vegetables in the world. Hundreds of varieties are being cultivated in regions around the world, varying in size, color (red, purple, dark green, light green), fuzziness, and of course, climate needs. 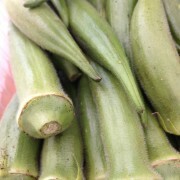 Okra is most known for its gooey, slipperiness when cooked. This is known as mucilage (common in all plants, but some more than others) and it contains a nicely usable form of soluble fiber. Okra is known for its high fiber, vitamin C and folate. 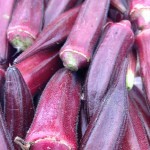 – Always wash and dry your okra well before preparing. – Okra can be eaten raw, such as Japanese style with is chopped, drizzled with high quality soy sauce and topped with katsuoboshi (shaved bonito flakes). -It can also be pan roasted, tempura’d, fried, and grilled. – Okra is most often added to stews and soups, where the slipperiness can be cooked away from the okra itself and giving the soup a richness. – It is very good pickled too with a little spice! 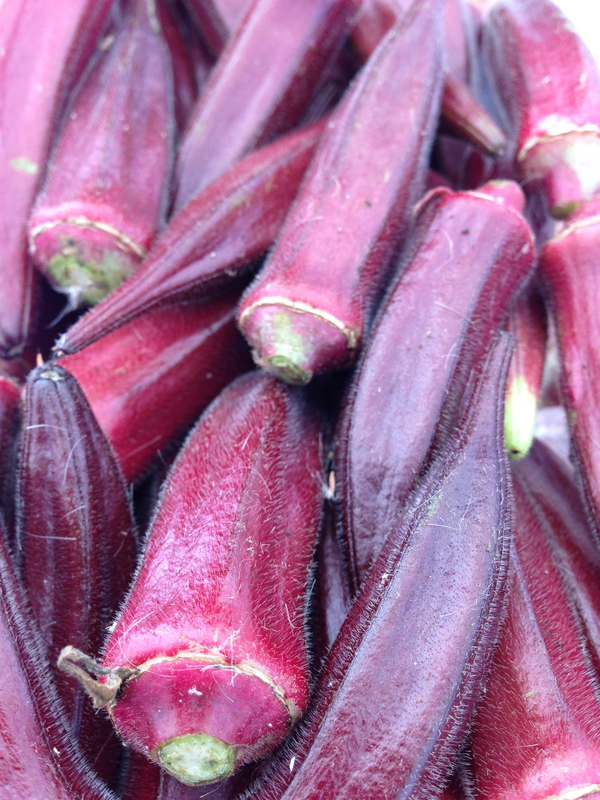 Choose okra that is vibrant in color, and tender looking. Stay away from black spots. Okra is delicate and should be stored unwashed in bag or airtight container in the refrigerator up to 5 days.